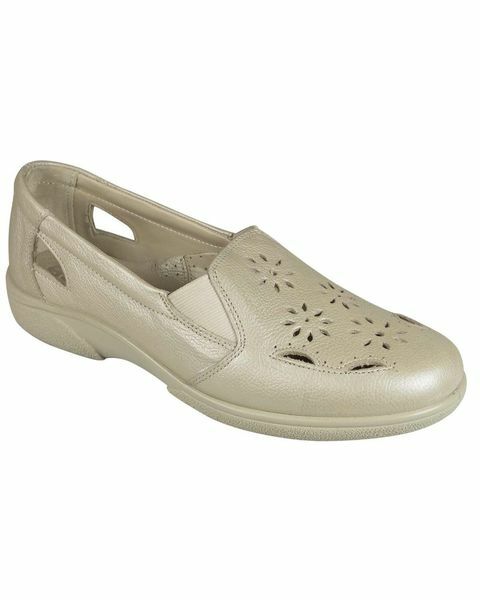 Classic Easy B Slip On Ladies Shoe. Sizes 3-8 Inc Half Size. Supersoft tumbled leather slip on Ladies shoe from DB. Punched out floral detail to front and featuring front elastication for a comfortable fit. 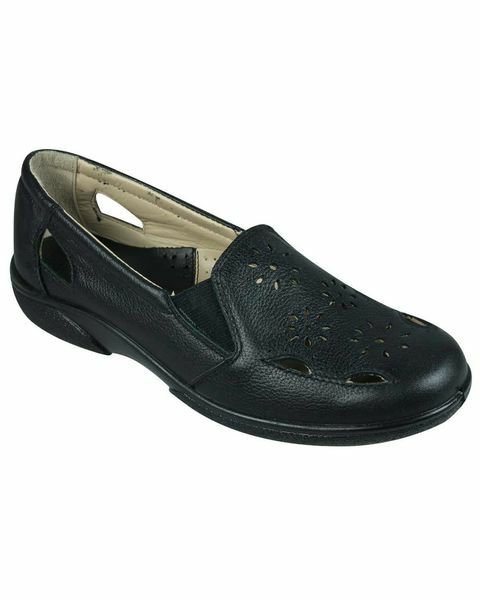 Man-made lightweight sole.